Start off your visit on the 9th (Sat): tour the pleasant surroundings at Seventy-Five Mile Beach and then contemplate the waterfront views at Lake McKenzie. To find reviews, maps, traveler tips, and other tourist information, refer to the Fraser Island trip itinerary builder tool . 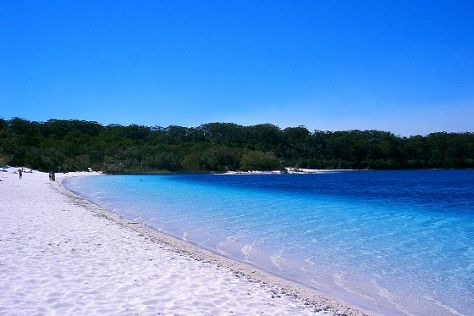 Belfast, UK to Fraser Island is an approximately 36-hour combination of bus, flight, ferry, and car. You can also do a combination of flight, ferry, and car. Due to the time zone difference, you'll lose 10 hours traveling from Belfast to Fraser Island. Prepare for much hotter weather when traveling from Belfast in March: high temperatures in Fraser Island hover around 35°C and lows are around 24°C. 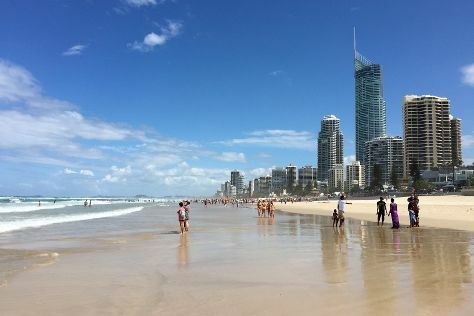 Wrap up your sightseeing on the 9th (Sat) to allow time to travel to Gold Coast. Kick off your visit on the 10th (Sun): identify plant and animal life at Burleigh Head National Park, enjoy the sand and surf at Burleigh Heads Beach, and then kick back and relax at Surfers Paradise Beach. To see where to stay, ratings, reviews, and other tourist information, you can read our Gold Coast trip itinerary builder . Traveling by combination of car and ferry from Fraser Island to Gold Coast takes 8.5 hours. Alternatively, you can do a combination of car, ferry, and train; or do a combination of car, ferry, and bus. When traveling from Fraser Island in March, plan for little chillier days in Gold Coast, with highs around 32°C, while nights are about the same with lows around 23°C. Cap off your sightseeing on the 10th (Sun) early enough to travel to Sydney. 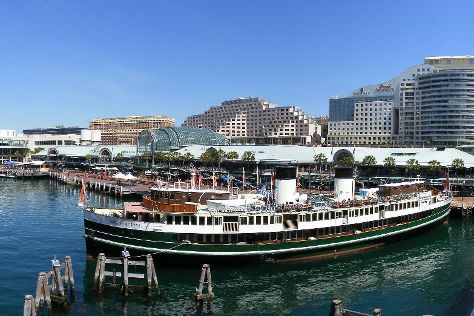 On the 11th (Mon), take a stroll through Darling Harbour, then listen to music at Sydney Opera House, and then take a stroll through The Rocks. Get ready for a full day of sightseeing on the next day: kick back and relax at Bondi Beach, tour the pleasant surroundings at Clovelly Beach, and then kick back and relax at Manly Beach. To find traveler tips, photos, and tourist information, you can read our Sydney trip builder app . Fly from Gold Coast to Sydney in 3.5 hours. Alternatively, you can do a combination of train and flight; or drive. In March, plan for daily highs up to 30°C, and evening lows to 22°C. Wrap up your sightseeing on the 12th (Tue) early enough to travel to Airlie Beach. On the 13th (Wed), discover the deep blue sea with a scuba or snorkeling tour. To find more things to do, traveler tips, reviews, and more tourist information, read our Airlie Beach route maker website . You can do a combination of flight and bus from Sydney to Airlie Beach in 6 hours. Alternatively, you can do a combination of flight and ferry; or drive. Expect a bit warmer evenings in Airlie Beach when traveling from Sydney in March, with lows around 28°C. Wrap up your sightseeing on the 13th (Wed) early enough to travel back home.